The Twins have an impressive breath of blogs. There's some really well written ones and some odd-balls. The Fansided blog has a cool name: Puckett's Pond. 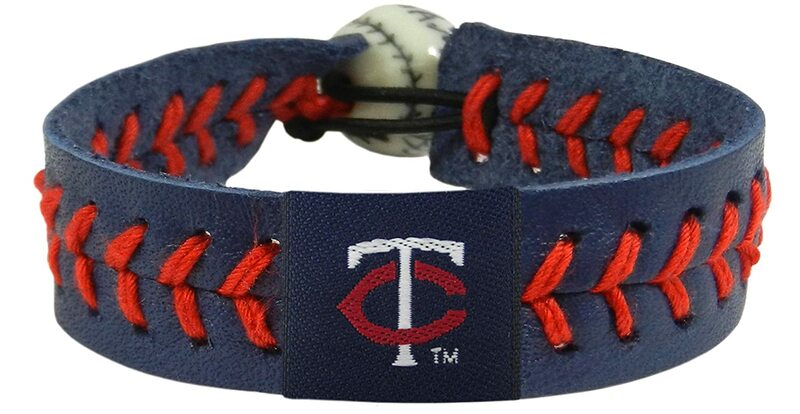 There's a rather odd site called Twins Dugout that looked like they wanted to be somebody at some point but now they content themselves with posts about Twins merch on Amazon. They also have an official photo blog. Why don't we have one? In the end, I couldn't chose between 2 for the 3rd blog, so you're gettting 4. No funky name but easily the best Twins site out there. They have a large commenting community and discussion board, and they encourage their commentors to create their own blogs on the site. It also migrated a bunch of existing blogs to compose of their writing staff. They run as a newspaper style and will put on the front page good posts from the community blogs as well as their own pieces. They also link to external blogs either through their blog section or on the Blogosphere sidebar. This is where you'll find the majority of the Twins blogs. They've got an org chart and a payroll section that is out of date (they still have Cola in the system), They've partnered with Aaron Gleeman, who writes for BP and had his own Twins blog, for the podcast Gleeman and the Geek (Gleeman cross-posts it on his own site). They also aggregate other podcasts and articles. It's really a one-stop shop for everything Twins. Their tagline is Providing independent coverage of the Minnesota Twins and they deliver. In the forums section, they have two very cool subforums. Adopt a Prospect, where each member is allowed to adopt prospects. They are then responsible for updating the board about that prospect at least weekly (daily if a major event happens). Bragging rights ensue. The other is General Manager Blueprint, where you get to create an offseason plan (after reading through their published Offseason Hanbook) and track it through the season. You compare your success with other posters. This is also where you'll find their game threads although they do it differently than most. They pin the current thread in the general Twins forum, then have a separate forum for the archived threads. They've organized pub crawls and game outings. I will give this to the SB Nation blog - they have a great sense of humour. They probably have to considering their team but reading there is just a treat. They have a whole section dedicated to satire, irreverence, and other humour - hours of entertaining fun. It seems to come from the woman managing editor (myjah), who says in her bio she wants the funny, and another woman writer (TawnyFroggy) who does a lot of the humour writing. The rest is pretty basic and I don't believe the site existed before SB Nation. This blog predominantly focuses on player movement and analysis. The blog archives go back to 2007 but there's no intro post. It just jumps right in. The author is a SABR member so if you want numbers, this is the place to go. Recent post: By the numbers: How bad have Deron Johnson's Twins' drafts been? A one-man blog whose author, Cody Christie, is very good writer. He contributed to the Prospect Handbook and does weekly farm reports on his blog. He also does detailed player and situational analysis.